Patricia Mischell's new book will have you glued to the pages while she details the journey back home. Read and receive answers to questions you have always wondered about. What happens at the moment of death? Is there pain after we die, and do we live again? Are our prayers heard in heaven? How do the deceased communicate with us? Is there some way we can talk to the deceased? What are the signs we look for? Do we carry our addictions with us - cigarettes, alcohol or drugs? Read the stories as told by those who have completed their journey back home. A start to finish revelation about the trip of a lifetime. Even if you have already had a Spirit Communication reading with Patricia Mischell, this book is for you. It will help clarify what level your loved one has reached and many other questions you may have. When completed for publication, you will be notified via email of the selling price and instructions for purchasing your personalized copy of What Happens When We Die. If you are interested in receiving your personalized copy, click on the link above. 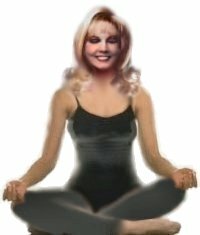 Patricia says you are already psychic! You already have that power within you to be directed, guided and inspired. You already have that inner knowing that helps you go in the right direction and take the right course of action. Unfortunately, left undeveloped, you may not know how to get this inborn power to work for you at any time. These classes will provide self-empowering tools and techniques to keep open this natural flow of energy open. You can literally improve any desired area of your life once you have techniques that help you control your own life and not let life control you. There will be diplomas given for those students who complete the psychic Development Classes. At first glance, the Mystical Atlantian Crystal Ball looks like a beautiful, perfectly rounded, clear and flawless piece of quartz. In reality though, this Crystal Ball has a personality of it's own. A palpable pulse has been felt emanating from this crystal. A mist has been excreted from this solid piece of quartz. During a trip to Baniff, Canada, this quartz ball was bathed Lake Louise, which is known as the "green lake." The ball actually took on the color of the lake. Impossible you might be saying. Documented accounts of this quartz interfering with electrical appliances, radio equipment and more. What Crystal Ball does this? An entire account of the messages channeled from this ball to Patricia Mischell can be read in the "Atlantian Crystal Ball". Read why this Crystal is so different from others. Are their others? What effect did this crystal have on our earth's atmosphere? What the Atlantian Crystal Ball says about things to come and things which have existed before. Read how Patricia Mischell became the keeper of this extraordinary piece of the unknown. Enjoy viewing clips from all of Patricia Mischell's TV appearances. Amazing spirit contacts, ghost chasing, classes, past life regressions, dreams, meditation and lots more. You will be able to see first-hand how amazing Patricia Mischell really is. Listen to audio clips of all of Patricia's Audio Taped series. Everything from Angels to What Happens When We Die. Do you have clutter in your house that you just have to keep dusting off or storing? Tired of cleaning and packing your unwanted items? Then place an add in Patricia Mischell's Classified Add Section and make money instead of excess work for yourself. Looking for something good at a reasonable price? 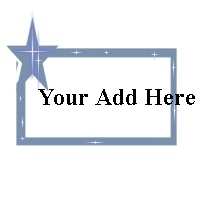 Purchase items and get great deals in Patricia's Classified Section. Tired of trying to find rare and no longer published metaphysical book? Do you have an appetite to read lots of books but your budget is low-cal? Then you'll LOVE Patricia's used and hard to find book store. Finally, you'll be able to enjoy all of the master metaphysical books for a fraction of the price with a selection that will amaze you.